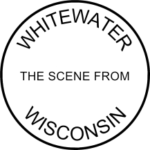 You may have read, recently, of a public official who came to Whitewater to talk about the Foxconn project. Why settle for the tired claims of a mid-level state-government operative when one can hear about Foxconn from the one man behind the entire project? Walker spokeswoman Amy Hasenberg said: “President Trump’s leadership and pro-manufacturing agenda set the stage and the tone for this project and for companies looking to move and expand into the United States. Via Donald Trump lavishes praise on Scott Walker, takes credit for Foxconn. Even Gov. Walker’s spokeswoman gives Trump credit for ‘leadership [to] set the stage and tone for this project‘. On this point, today, there’s no need to disagree with Walker and Trump. Let us agree that Foxconn is, first and foremost, Trump’s project. Those visiting Whitewater to talk about Foxconn, and those inviting them here to do so, have by the very declarations of the highest officials in Wisconsin and Washington done so in support of a Trump project. Fair enough, of course, but better still if everyone else involved would be as candid about Trump’s role as Trump and Walker are. See also 10 Key Articles About Foxconn.